Semana Santa is celebrated in San Lucas Tolimán with the same fervor as the rest of the country and a few peculiarities. One significant change is the use of pine needles for the preparation of most procession carpets, or alfombras, as well as the construction of arches made out wood poles. Hanging from these arches are decorative lights as well as a number of contraptions filled with confetti which is dropped over the passing procession by pulling on a cord. This Duffy Duck Cucurucho is one of the most fun ones I have seen in the last few years. If you are tired of standing up watching the many religious processions going on these days, you can rent one of these for Q5/$.70 cents. More on how the streets of Guatemala look before Holy Week. Semana Santa, Holy Week is areound the corner and this qould be a common sight here on the streets of Guatemala. Either way, It will be fun to see. If you’re in Guatemala City don’t miss it! That’s right, stay tuned, hopefully I’ll be able to share more pictures of Semana Santa for all of you. Semana Santa; Cobán, Guatemala by Lon&Queta. The most famous venue for the Semana Santa (Holy Week) is La Antigua Guatemala, but there are many more places in Guatemala where the processions and traditions are just as colorful. 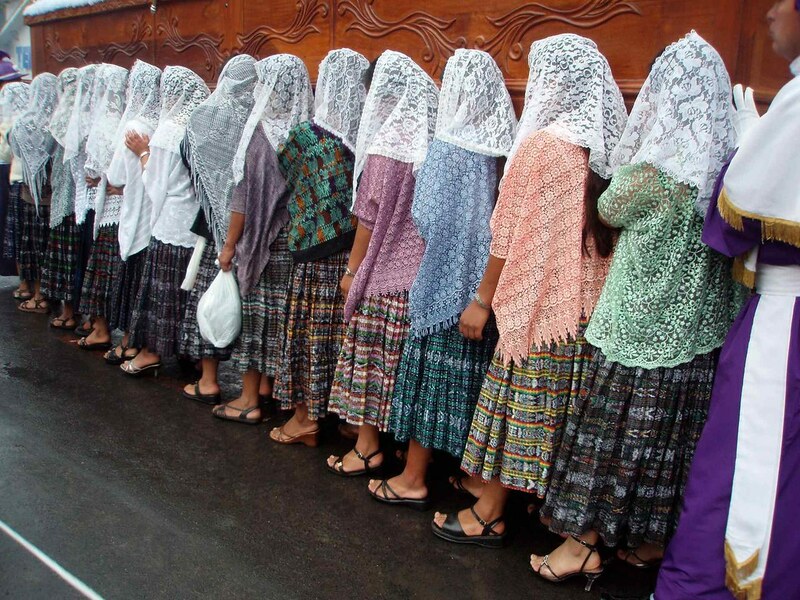 For instance, take the processions of Cobán, in Alta Verapaz, like the Procesión del Jesús Nazareno del Perdón, Jueves de Semana Santa – procession of Jesus on Thursday of Easter week, a unique and colorful stamp of the fervor and traditions of Guatemala. It is fascinating the transfer of a tradition from one generation to another, is inspiring to think that somehow seeks to perpetuate a message that goes beyond making a carpet. For the capitalinos Semana Santa Holy Week started it a few days ago and finish the following Sunday, is common to find processions and many people are mobilized by the major areas of the Guatemala City.